Where in the world can you snow ski, sand board and water ski within a few short hours? This is an “only in Abu Dhabi” experience! The largest city in the United Arab Emirates, Abu Dhabi is one of the fastest growing “must visit” spots and is an incredible incentive destination. 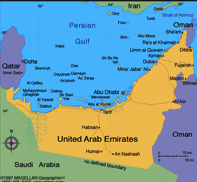 As the capital and most populated city of the United Arab Emirates, Abu Dhabi is actually an archipelago of more than 200 islands. It juxtaposes fascinating Arabian culture and a vibrant cosmopolitan infrastructure with beautiful desert landscapes. Easily accessible from European, Asian, American, African and Australian business centers, this Middle East city is considered one of the safest cities with its crime-free culture and welcomes visitors from around the world. From the city’s famous Cornice to the Oasis City of Al Ain and the massive dunes of the western region’s Empty Quarter desert, culture, history and adventure are waiting to be discovered. Not to be missed are visits to the Sheikh Zayed Grand Mosque, the Al Ain’s cooling oasis and the ancient forts and historic sites dotted throughout the region. Activities? Besides the afore mentioned snow skiing, sand boarding and water skiing, Abu Dhabi features championship golf courses, kayaking, camel rides, hot air ballooning, helicopter flightseeing, desert safaris, yachting, wildlife sanctuaries, untouched beaches and world-class shopping! The 5-star Emirates Palace is the place to stay! It is one of the world’s most opulent resorts and reflects the true Arabian tradition and culture. Decorated with gold leaf, marble and hung with more than 1,000 Swarovski crystals, it is home to one of the world’ s largest shopping malls and features the incredible “Ski Dubai” an indoor ski resort complete with quad chair lifts, a freestyle zone and even a black diamond run! 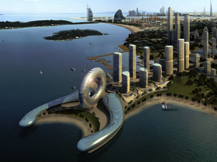 We’re excited to introduce our clients to the wonders of Abu Dhabi…a truly amazing destination for your next incentive or international sales meeting.